On 26 September 2018, Google’s world famous search engine turned 20. To mark the occasion, Google Brussels organized an event in their Brussels based ‘Google Garage’. The venue was perfect reminder of how Google once was born, as a small start-up in someone’s garage. Stakeholders from Europe and the US showed up to enjoy the showcases and highlighted small businesses at the venue, as well as a vibrant panel debate on the European Union’s proposal for a new legislation, regulating the relationship between platforms and their business users – also known as the P2B regulation. 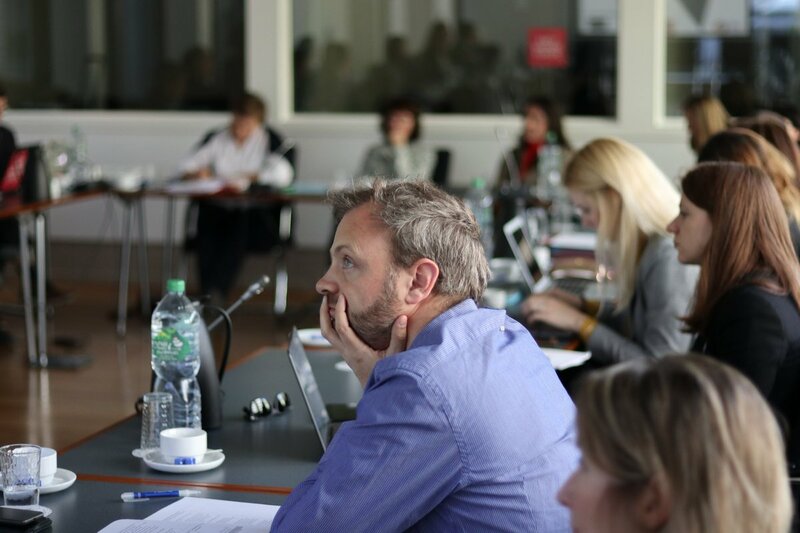 The platform consisted of a Google representative, a representative of the EU Council/Member State, and – most importantly – two small business entrepreneurs. 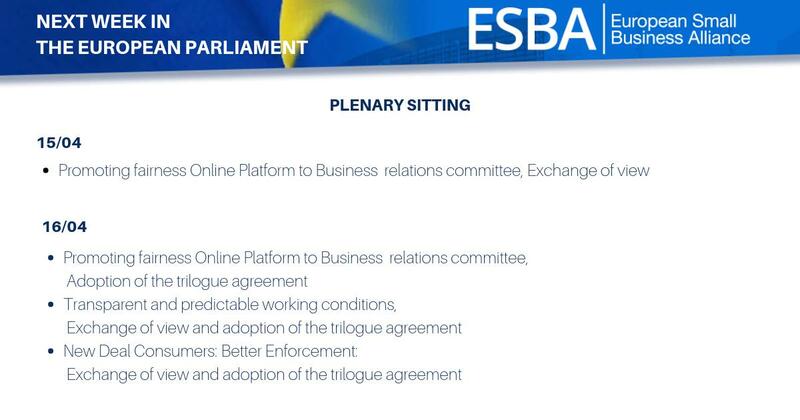 ESBA Secretary General represented EU SMEs. The panel was moderated by Siada el Ramly from Edima. Whilst there exists a general consensus the the European Commission has tabled a fairly light-tough proposal, Gibbels stated that we should always ask ourselves one very important question before regulating: “Do we really need this?”. He argued that it is at the very core of every successful company to create a very high standard of customer satisfaction – which is one of the elements the Regulation seeks to address. Do we really need to prescribe companies how they need to run their customer service? Gibbels also urged the European Commission to revise its thinking on exemptions for small companies in the context of this type of Regulation. “Creating heavy legislation and simply exempting small companies from (parts of) its scope does not work. If large companies are told to implement stringent complaint handling mechanisms, small businesses will have to follow suit or loose customers to their potentially inferior systems. Exemptions my be well intended, but the market doesn’t care whether a company is exempted” he said. Rather, the European Commission should abide by its own ‘Think Small First’ principle and create legislation only where necessary and always with small businesses in mind. Will they be able to handle it? If the answer is no, don’t do it. 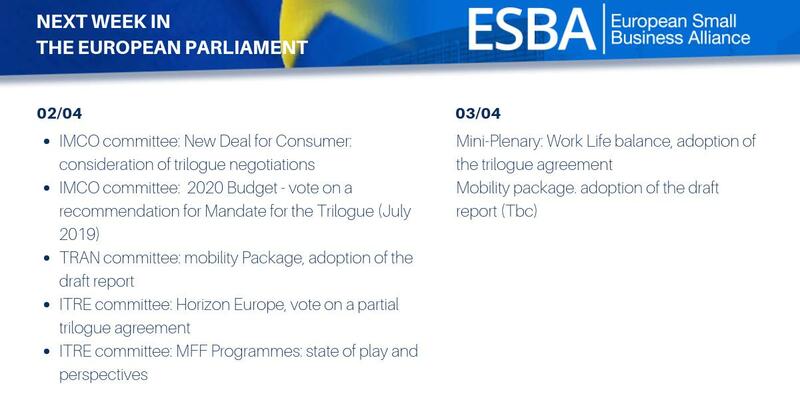 Whilst the Commission’s proposal is relatively light, Gibbels reminded the audience that it is European election season and Members of the European Parliament might be seeking headlines. It is not unlikely that the initially light proposal turns into a heavy and burdensome piece of legislation, once it starts raining amendments in the European Parliament. He urged the Institutions not to get caught up in the elections to the extend where it might harm small European companies. © 2019 European Small Business Alliance.